Russell L. Hewit - Dughi, Hewit & Domalewski, P.C. 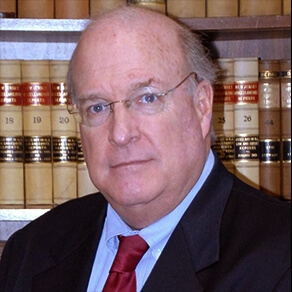 Russell L. Hewit, founding partner, is a leading litigation and trial lawyer and advisor and strategist in New Jersey. He represents and advises, and has tried cases on behalf of, pharmaceutical companies, product manufacturers, policyholders, PRPs and businesses concerning a wide range of complex matters. He counsels clients in strategies to avoid litigation and, when in litigation, in strategies to achieve successful resolutions, whether through motion practice, settlement or trial. He also counsels clients in certain areas of government affairs and relations concerning his practice areas and related legislation. Mr. Hewit was and continues as one of the lead trial counsel in the Accutane Mass Tort litigation before Judge Nelson Johnson in Atlantic County on behalf of Hoffmann-La Roche Inc. In 2011, he was part of the defense trial team which secured defense verdicts in 2 of 3 plaintiff cases tried together as well as the trial team in a second trial, which resulted in a hung jury and another no verdict for plaintiff result. Mr. Hewit successfully argued the case of Strumph v. Schering Corporation, 133 N.J. 33 (1993), on behalf of Schering Corporation, upholding the learned intermediary doctrine in New Jersey. Mr. Hewit has served as chief litigation and negotiating counsel in numerous insurance coverage disputes leading to coverage-in-place and policy buy back settlements. He served as one of lead trial counsel in the environmental insurance coverage trials for Warner Lambert Company and Pfizer concerning coverage disputes involving over 60 Warner Lambert environmental sites, leading to a successful settlement. He also was a lead trial counsel in the Congoleum Corporation asbestos insurance coverage trial as part of the Congoleum asbestos bankruptcy, leading to resolution of many hundreds of million dollars of coverage with over 75 primary and excess carriers. Mr. Hewit represents numerous PRPs in environmental disputes and litigation concerning claims under the Federal Superfund Act and New Jersey Spill Fund Act seeking remediation, cost recovery and natural resource damages. He serves on the steering, litigation, negotiation and allocation committees in many PRP Groups and has been instrumental in designing and negotiating PRP Group settlements with EPA and DEP and primary, de minimis and allocation settlements among PRPs. Mr. Hewit represents public entities in complex litigation concerning real estate, development and contractual disputes involving claims of several hundred million dollars. Mr. Hewit has lectured at the Institute of Continuing Legal Education and leading industry, business and professional groups. He is a current member of the Board of Trustees of Horizon Blue Cross and Blue Shield. He was a former member of the Parents Committee at Princeton University, Board of Trustees of the Fathers and Friends of Delbarton School, a former member of the Board of Trustees of the Wardlaw Hartridge School and past president of the New Jersey Alumni Association of Washington & Lee University. He has been active in fundraising for the St. Patrick’s Church in Chatham, Kent Place School and Delbarton School.